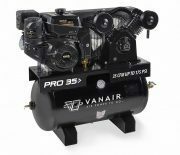 Reciprocating or rotary screw air compressors with hydraulic drive or engine-driven compressors are available from Auto Crane and Vanair. 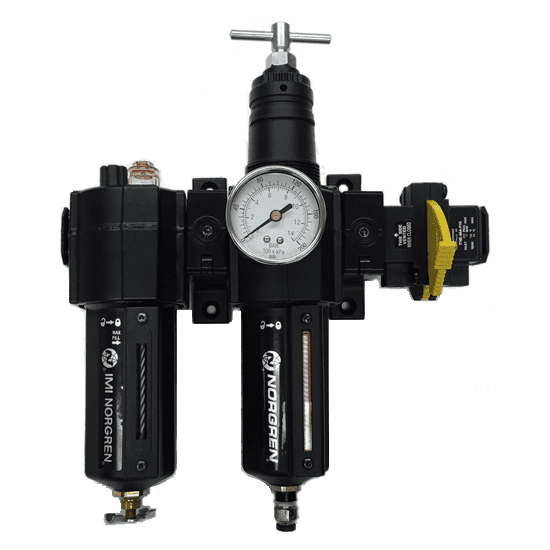 Contact Auto Crane for a quotation. 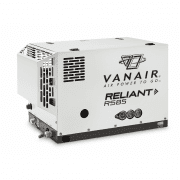 Other accessories such as air tanks, hoses and FRL components are also available. 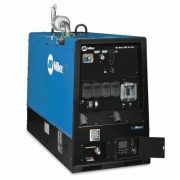 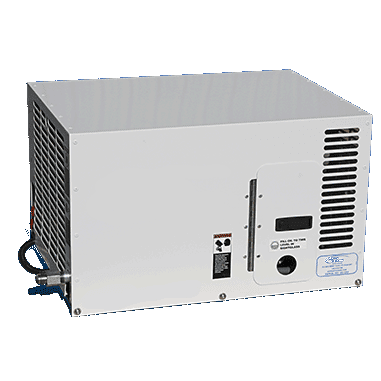 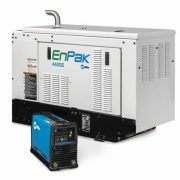 Reciprocating air compressors are best suited for intermittent use and offer pressures up to 150 psi with a single-stage pump and 175 psi with a two-stage pump. 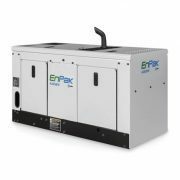 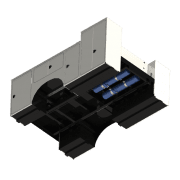 Rotary screw compressors are best suited when a continuous supply of air is needed to snap-off blade bolts, blow-out large radiators, etc. 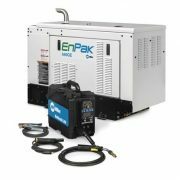 Tanks should be added to provide an instant blast of air while the compressor has time to kick-on and build pressure.